This year’s team building event brought us to Ohrid, the Balkan pearl. 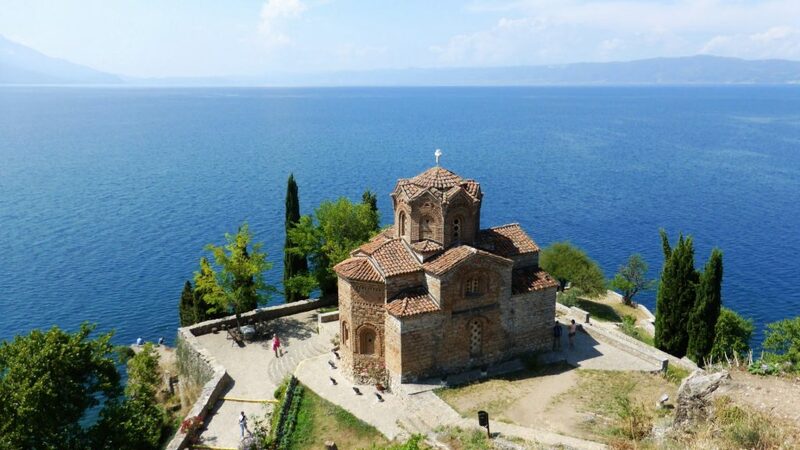 We stayed at Hotel Monastery St. Stefan, nestled in the wooded hills overlooking Lake Ohrid. The view from the hotel was picturesque and the crystal blue waters were a joy to wake up to. Our mornings started with presentations and various team building activities. This was great for the new additions to the team since they were able to learn so much about how the company functions. We tackled everything from the survey platform and digital marketing to the goings-on among the people within the firm. Our primary focus was on the future of the survey platform and how to best utilize the already existing platform. We also discussed the new modules which we will be launching in the very near future. A key aspect of the team building was setting up our objectives and figuring out the best way that we could go about achieving them. After the presentations, we did our usual department work. The nights were reserved for hanging out, bonding, socializing and just having some wholesome fun. There were different activities planned for each night. For our first official outing, we went to a nearby restaurant where we had dinner. Everyone was having a good time and the restaurant was brimming with laughter and conversation. The following night was beer pong night. We were split up into 4 teams and we battled it out through blood, sweat, and tears. Friday night was pub night. First, we went out to dinner at a restaurant in the center of Ohrid. Then we continued to the old part of the town and thus the partying began. We stayed up until the wee hours of the morning. As one would imagine all that dancing and socializing didn’t bode well for us the following day. However, the show must go on, so we managed to pull through and spent the day at St. Naum where we had lunch and enjoyed the sun. The motivational trip proved yet again to be a great way for everyone to bond, hang out and work together as a team to overcome obstacles. Sample Solutions Attends Quirk’s Brooklyn Event: What a Journey! Sample Solutions at the Quirk’s London Event: What a Start!